The custom designed Rocket tower touched down in the city of Broken Hill in late January of 2019. Patton Park in Broken Hill showcases one of Omnitechs most exciting custom projects to date – the giant rocket tower! 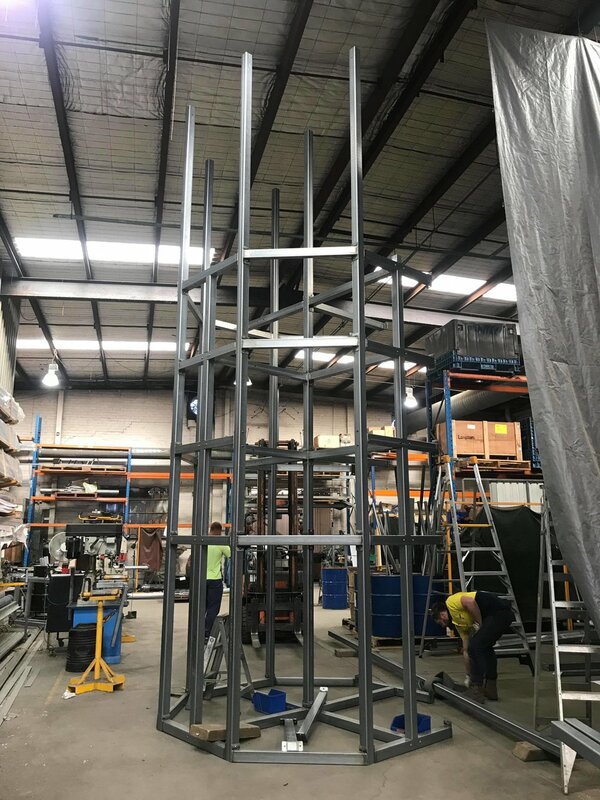 This tower was custom designed and manufactured out of Omnitechs factory in West Heidelberg. The rocket tower took a lot to get off the ground but once it was assembled by the team it was ready for take off! Omnitech not only built and installed the playground but they also build and installed the shade structures for Patton Park. 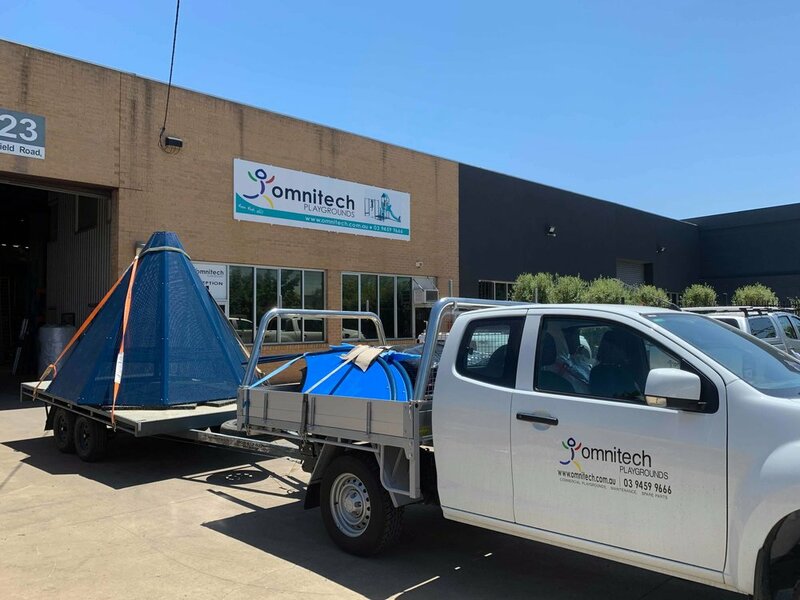 Logistically this project was a challenging one for Omnitech due to the naturally remote location of Broken Hill. Omnitech transported all the tooling and equipment needed for the project. The Omnitech installation team also packed up their bags to live and work on the playground in the extremely hot desert like conditions until the rocket themed play space was installed. This project has been one of our designers most favourite concepts to bring to life so far. They loved the process of designed a playground that looks like a rocket, tapping into their imaginative side. 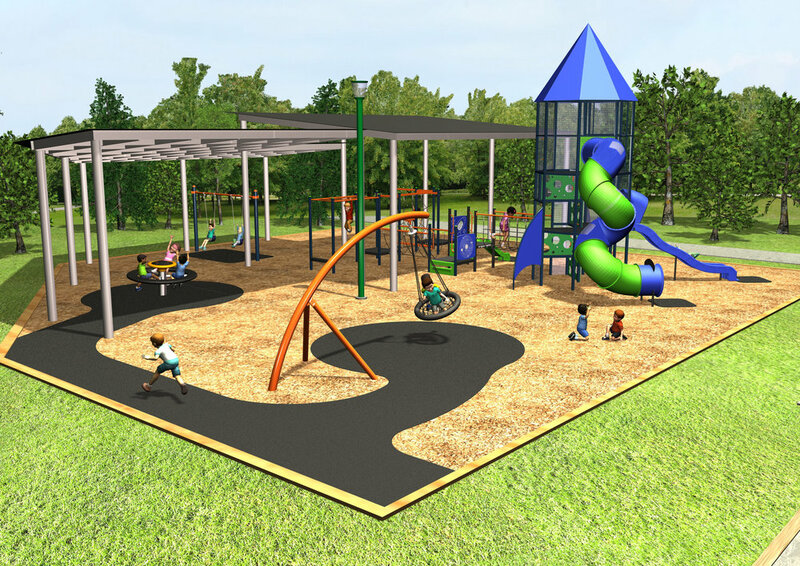 We know that the kids of Broken Hill will have endless fun playing on their very own rocket themed park. It was a pleasure to work with the City of Broken Hill on this project and the team at Omnitech hopes to work on more projects in the future with them. The early stages of manufacturing the custom rocket tower.